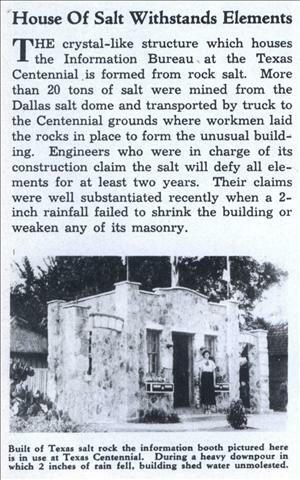 THE crystal-like structure which houses the Information Bureau at the Texas Centennial is formed from rock salt. 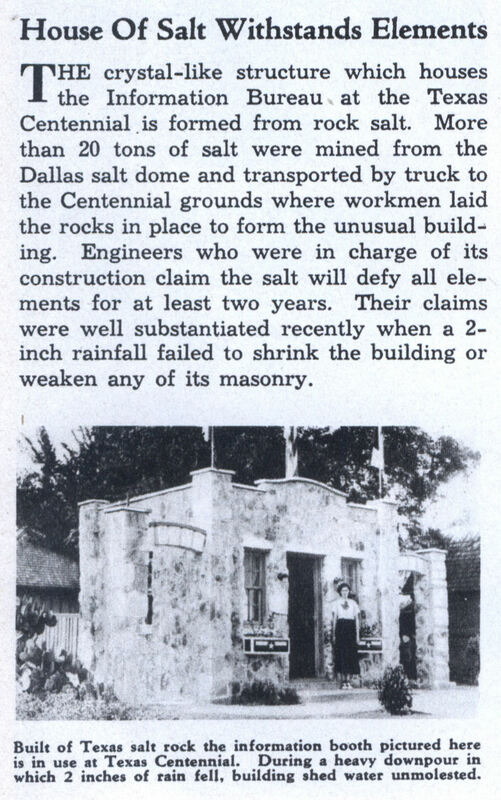 More than 20 tons of salt were mined from the Dallas salt dome and transported by truck to the Centennial grounds where workmen laid the rocks in place to form the unusual building. Engineers who were in charge of its construction claim the salt will defy all elements for at least two years. Their claims were well substantiated recently when a 2-inch rainfall failed to shrink the building or weaken any of its masonry. Water can’t molest that building! I wonder if working there caused bloating and hypertension?